Long before the Normans arrived in England, the Anglo-Saxons were borrowing Latin words from the monastic culture which was emerging in the 7th and 8th centuries. In this episode, we explore the spread of monastic schools and scholarship in Anglo-Saxon Britain, and we examine many of the Latin words which were borrowed during the period of Old English. The early Christian Church in Britain gradually embraced English as a way to spread to the message of the Church to the masses. This required the translation of Christian words and concepts from Latin into English. In this episode, we explore how English was used to represent the new religious ideas which were rapidly expanding across Britain. 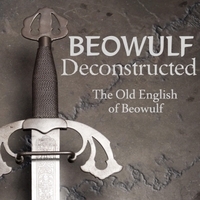 We also explore the many words and phrases which originated from this process and which still exist in Modern English. 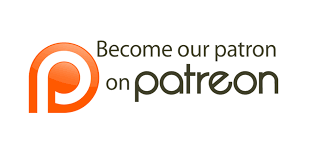 Check out the ‘Texts’ tab for the written version of Caedmon’s Hymn and the Ruthwell Cross inscription discussed in this episode. 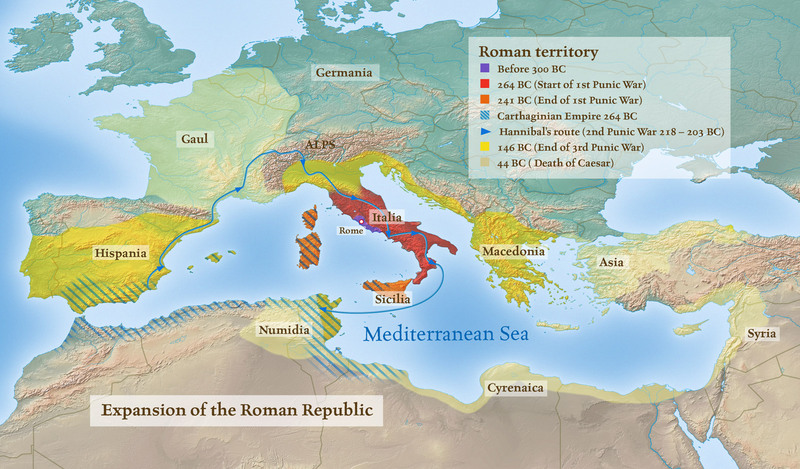 We look at the rise of the Roman Republic from a small Italian city-state to the dominant political and military power of the Mediterranean. 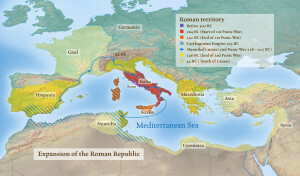 The expansion of Rome also led to the expansion of Latin which emerged as a common lingua franca. We also explore Latin words and phrases from this period which have found their way into Modern English. The first Indo-Europeans settle into Italy, but they encounter an existing civilization known as the Etruscans. The Etruscans borrow the alphabet from the Greeks, and soon pass it on to the Romans. 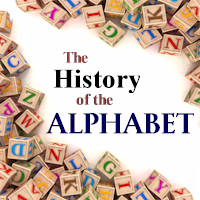 Our modern alphabet finally begins to emerge.